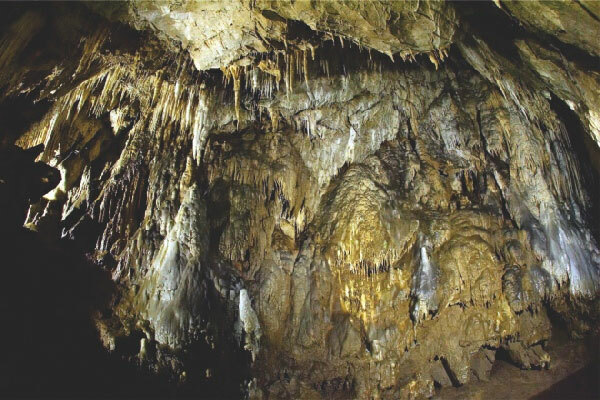 The Yagodina cave is situated about 3km to the west of the village of Yagodina and 8 km from the village of Trigrad. 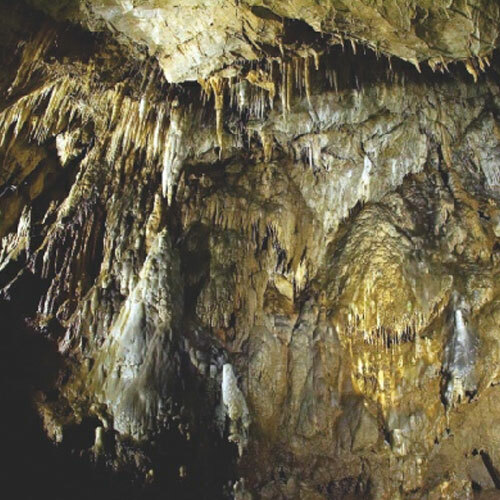 As a part of the Buynovsko Gorge this cave is one of the most impressive karst formations in the Rhodopes. It is on 5 levels and is 10 km long. The uppermost level was inhabited by the people from the Eneolithic Age – their dwellings are situated 10 min from the artificial entrance. The cave was also inhabited in the Stone, the Bronze and the Iron ages. 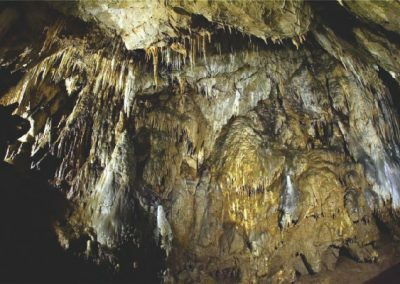 The tourist route starts from an artificially dug entrance (the natural entrance is 30 meters above it) and goes only through the corridors and galleries on the lowest level of the cave. For adventure-seekers there is a possibility to explore the labyrinth of corridors on the other levels as well. 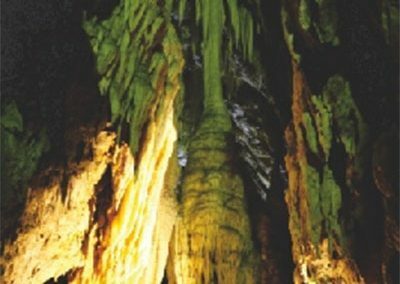 In comparison to the Devil’s Throat cave this one is much richer in rock formations. 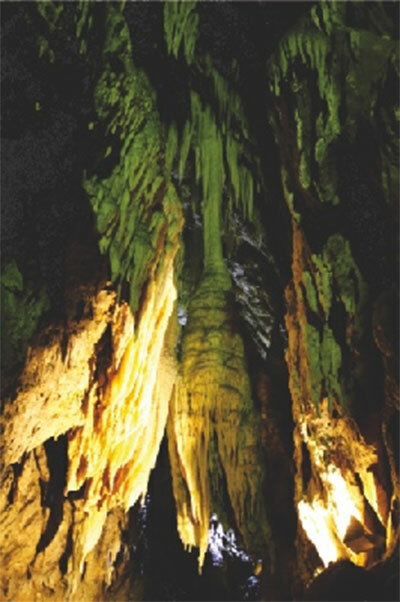 You will be led through amazing galleries with stalactites and stalagmites lit by electric lights in different colours. The guide explains everything about the process of their formation. 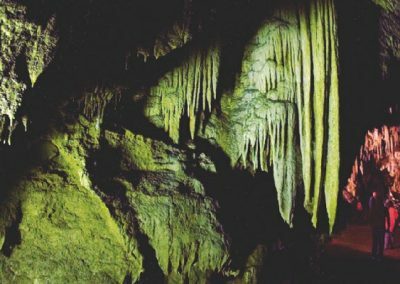 You will learn many curious facts, for instance that it takes 50 to 100 years for a stalactite to increase its length by a single centimeter. 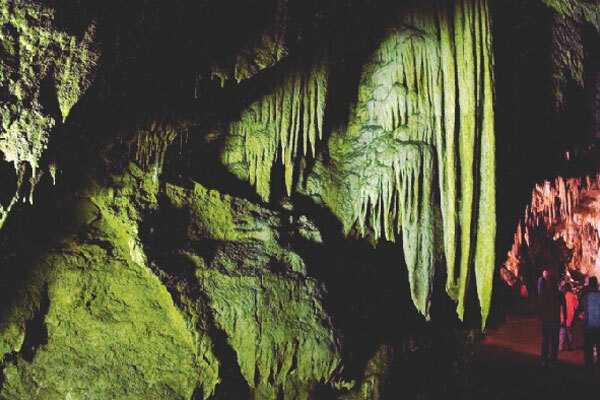 Besides the stalactites and stalagmites there are many other interesting rock formations – some of them resembling elephant’s ears, draperies, cave pearls and leopard’s skin. You can even distinguish the figures of Santa Claus, Snow-white and the Seven Dwarfs! There is a decorated pine-tree in one of the galleries – the New Year’s hall. Every New Year the local speleological club gathers here to celebrate. The tour lasts about 45 minutes. The working time of the guides is from 9 a.m. till 4 p.m. A group of minimum 10 people has to gather for a tour to be conducted. If there are enough people the tours are conducted every hour. Don’t forget to bring warm clothes with you – the temperature inside is 6 degrees C! Another way to reach the cave is to follow the road after the deviation of the village of Nastan and then take the road right of the village of Teshel.